Synopsis: This is a world divided by blood – red or silver. Review: “Anyone can betray anyone” – I feel like I had a different experience than others as I had the opportunity to listen to the book being read rather than reading it myself. Choosing the audiobook form was a good choice as I got to hear the different voices and be able to imagine the words/pictures that were being created. A lot of reviews say don’t believe the hype. I went in with no expectations or knowing what the book was about and I actually liked it. I had no pacing issues which is rare. Most books usually have a lull for me. This one kept my interest (no matter how predictable) from start to finish. The Plot – Was not original in anyway. It’s the same YA storyline that we’ve all read before. Girl in poor conditions. Two sides. One side rich and treated great. The other side poor and treated crappy. Girl ends up being secretly more like the other side. Love triangle between brothers who happen to be princes. BFF is a male. A rebellion starts. Ouu plot twist. The End. The World – Although I found the plot to be unoriginal I did find the description of the world to be quite nice. It was described in away that I could see what was happening in my mind. I feel like it was the combination of the authors words and how the voice actor was portraying them. If you can’t visually see what’s happening in your mind I don’t think the author did the world justice. The Characters – Typical YA dystopian characters. Female lead with a male BFF and confused about liking two men. With the princes having multiple names (given & nickname) was quite confusing. I was never sure what was going on when either were in the dialogue. What do you think about overused storylines? 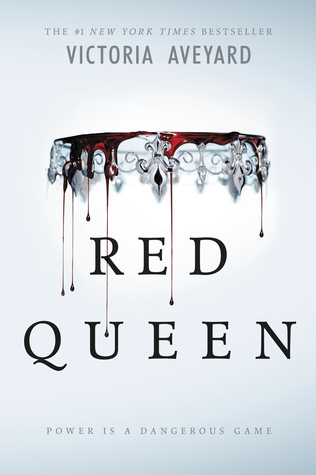 This entry was posted in book review, red queen. Bookmark the permalink.